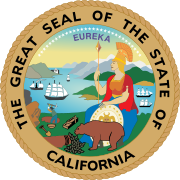 The 1988 United States Senate election in California took place on November 8, 1988. Incumbent Republican U.S. Senator Pete Wilson won re-election to a second term. As of 2019, this is the last U.S. Senate election in California won by both a Republican and a male. ^ "Our Campaigns - CA US Senate Race - Nov 08, 1988". www.ourcampaigns.com. Retrieved 6 April 2018.